Joanna Stafford, our intrepid ex-Dominican super sleuth is at it again. This time, she’s hurled straight into the midst of plotting and deception at Henry VIII’s court. Joanna, the former nun renown for her tapestry making abilities, is summoned to Whitehall to present her self to the king for a special commission. While there, an attempt is made on her life and Joanna narrowly escapes. Luckily, she befriends one of the the king’s inner circle, the handsome courier, Thomas Culpepper, who vows to catch Joanna’s assailant. Joanna, who wants nothing more than to return to her simple, quiet life in Dartford, is thrown into Henry’s political turmoil and immediately ensnared in the tension between her former frenemy, Archbishop Stephen Gardiner, and new nemesis, the king’s powerful secretary, Thomas Cromwell. To make matters worse, Joanna must watch helplessly as her beloved friend, the young, naive, teen, Catherine Howard, is moved like a pawn by Anne Boleyn’s grasping family. With the help of famed German court painter, Hans Holbein, Joanna tries to intercede and keep Catherine away from the king’s clutches. It’s an uphill battle against the machinations of Lady Rochford, Anne’s Boleyn’s former sister-in-law who is scheming to restore her family’s glory. Last but not least, there are also dark forces at work: magic, hexes and a curse to bring about Cromwell and Henry’s downfall. Joanna has to navigate through all of this while trying to stay alive. Fortunately, Constable Geoffrey Scoville, still obviously in love with Joanna, reappears to help her keep one step ahead of her assassins. Sounds like a lot going on? There is. Of all three Joanna Stafford novels, The Chalice , The Crown and The Tapestry , this third instalment is by far my favourite. It moves quickly, has a lot of interesting characters, and a dark, sinister tone. Bilyeau gets to the ugly heart of Henry VIII’s court and presents a complicated portrait of the king; volatile, tyrannical but in the end, terrified, a victim of his own delusions and insecurities. Henry’s every move is an attempt to keep himself on the throne and save face. The book is also sad because Bilyeau builds likeable characters in Culpepper and Howard, but you know from history the horrific outcome for both of them. I even managed to feel pity for the unpleasant Sir Walter Hungerford, the depraved knight, and Thomas Cromwell, as they were swept away by Henry’s paranoia. 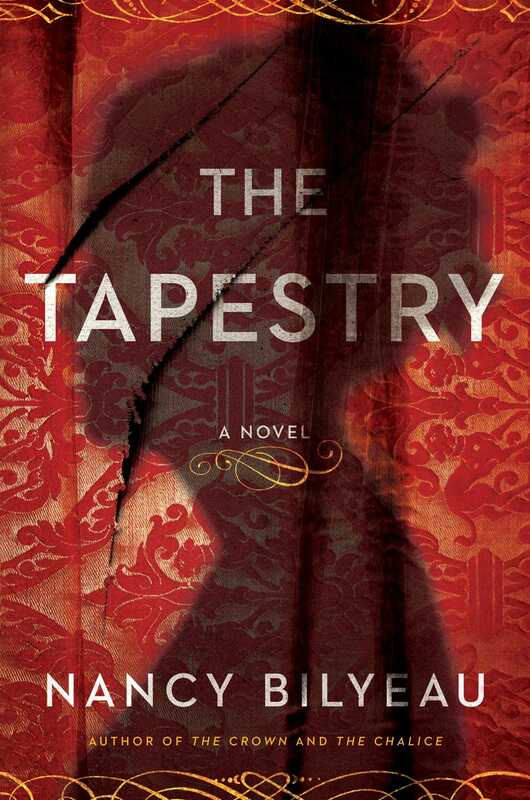 The Tapestry also has Joanna hopscotching across Europe trying to find answers as to the whereabouts of her former fiancé, Edmund Sommerville. This further complicates Joanna’s mixed emotions towards Geoffrey. Who will she choose? Or will Joanna ultimately opt to be alone? What is the secret pact at court? Who is trying to kill her and why? There is a lot going on in this novel, but Bilyeau does a good job of keeping a lot of characters in play without too much confusion. If you like Tudor history, this is a great book to read to see the court from an outsider’s point of view. As always, Bilyeau has done her historical homework, bringing the drama, and details of Henry VIII’s court to life. You’re basically watching the rise and fall of Catherine Howard, Thomas Cromwell, Walter Hungerford and Thomas Culpepper through Joanna’s eyes. What was true in this novel? All of it. Thomas Cromwell arranged the failed marriage between Anne of Cleves and Henry. Mismatched from the start, the move cost Cromwell not only his favour with the king, but his life. This left the field open for Anne Boleyn’s family to nudge young Catherine Howard towards Henry in an effort to regain their political prestige after Anne’s execution. Unfortunately, in doing so, they also nudged Catherine towards the block. Lady Rochford, who is painted as a villain in this book, did indeed orchestrate the relationship between Catherine and Henry, but also, not mentioned in this book, had a hand in putting Culpepper and Catherine together to have a disastrous affair. Bilyeau paints their union more as Culpepper’s revenge than a love affair between a courtier and a young Queen. Their eventual downfall took Lady Rochford with them, because of her direct involvement in Catherine’s affair. Culpepper, once a prominent courtier and close friend to the king, was accused of adultery with Catherine and sent to the chopping block. Walter Hungerford, was accused of plotting against Henry and executed alongside Cromwell. Catherine and Lady Rochford followed soon after because Henry VIII needed to look strong in the face of abject humiliation. Henry’s decisions, shown through Joanna’s eyes, were not without sadness and deep regret. Bilyeau captures that underlying tone brilliantly in this book. Henry is the victim of his own schemes, and in an effort to remain in control, what he really demonstrates is how badly he is lacking it. Joanna’s private moments with Henry were amongst my favourite in the book. This a true historical thriller. It’s a Tudor novel full of suspense, intrigue, brutality, and death. It’s a well researched page turner. If you’re looking for an exciting historical read to help wind down your summer, this will be on your list.